Jennie and the 13-year-old Irish Sport Horse gelding owned by Tim and Nina Gardner will have 1 penalty point of breathing room over Buck Davidson and Ballynoe Castle RM to play with tomorrow on Mike Etherington-Smith’s new cross country course, which she said she’s honored to tackle after watching her jump jockey friends ride in the famed Virginia Gold Cup. 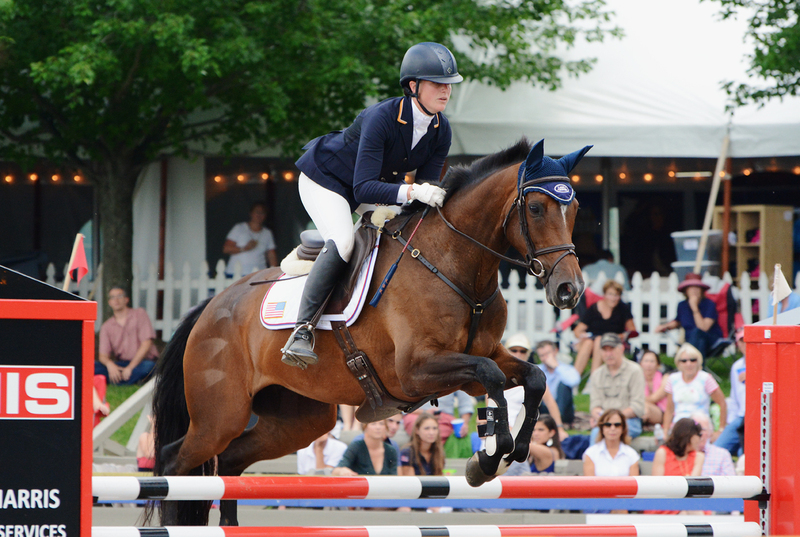 Jennie and Ping are in the running for the traveling reserve slot on the U.S. Pan American Games team, and she’s also been awarded a Land Rover Competition Grant to compete at the new Rebecca Farm CCI3* next month. At the same time, she’d also like to use the free overseas flight she won at last year’s Dutta Corp Fair Hill International CCI3* to go to Pau this fall. How does Jennie cope with that uncertainty hanging over the remainder of her season? “The last six months have been a huge mental deal. Maybe people don’t realize the toll it takes a little bit as a younger person to not be named on a list and then get an email out of the blue. I had no clue that I was going to get vetted for the Pan Am Games. And for me to wish well on my friends and want to be a team player for my country, all of that is very important to me,” Jennie said. “It’s a little bit funny because you’re trying not to get hopeful, but then trying to care, but then trying not to care; it’s lot to think about. 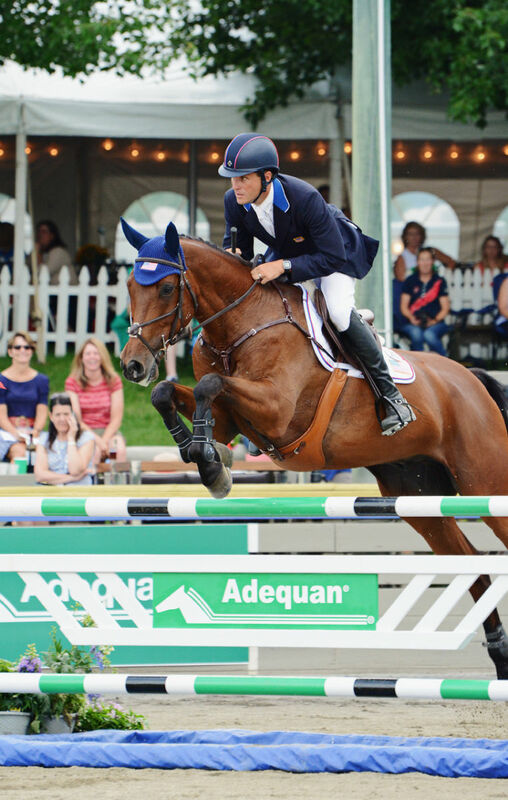 Lynn Symansky and Donner moved up to third place on 42.8 after jumping double clear, followed by Michael Pollard and Ballingowan Pizazz in fourth on 47.3, and Buck Davidson and Petite Flower in fifth place on 49.0. The CIC3* horses jumped first, followed by a quick ring drag and adjustments to a few of the fences for the Pan Am prep trials division. Lauren Kieffer and Meadowbrook’s Scarlett. Photo by Jenni Autry. Lauren Kieffer and Marie Le Menestrel’s Meadowbrook’s Scarlett lead the Pan Ams division on their dressage score of 43.3 at the conclusion of show jumping, but she was the first to point out that dressage leaders Phillip Dutton and Fernhill Cubalawn would almost certainly still be winning had the horse not fallen after landing from fence 8. It truly seemed to be a freak thing, as “Cuba” was jumping beautifully before the fall. Thankfully, Phillip confirmed on his Facebook page that both he and the horse are OK, and U.S. team vet Dr. Susan Johns gave Cuba a thorough examination after the incident. We’ll continue to bring you more updates on Cuba and how this will affect the U.S. Pan Ams picture. It’s noteworthy that Boyd made those comments before the onslaught of tonight’s severe thunderstorms. 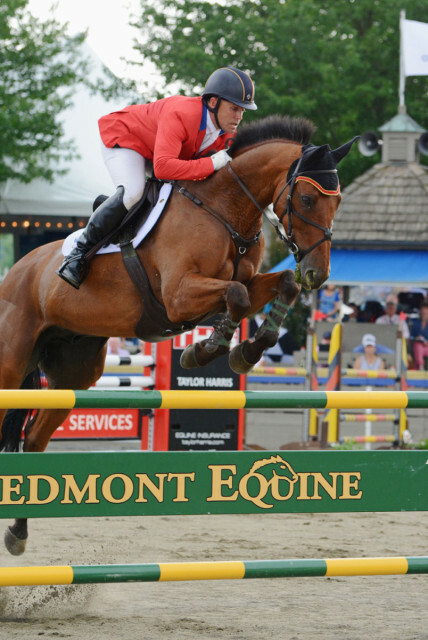 The organizers wisely decided to modify the show jumping schedule based on the forecast, moving the start time up to 5 p.m. EST and sending horses into the ring at two-minute intervals. Heavy rain started falling just as Jennie Brannigan finished her interview in the press tent, and suddenly it felt like we were all in the middle of a hurricane. The calm before the storm. Photo by Jenni Autry. 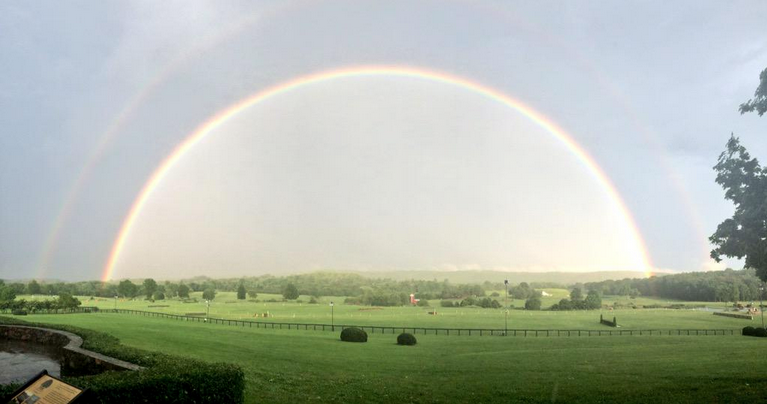 The organizers opted to evacuate the grounds between two storm cells — as a double rainbow appeared over the cross country course, signifying the calm before the next storm. The Land Rover USA crew heroically transported spectators, patrons and even the journalists to safety in a fleet of Land Rovers as the winds brought down tents all across the property. It was truly an unbelievable sight. We’ll have much more on the storm coming your way next. In the meantime, you can check out the photos and videos I posted on EN’s Facebook page. 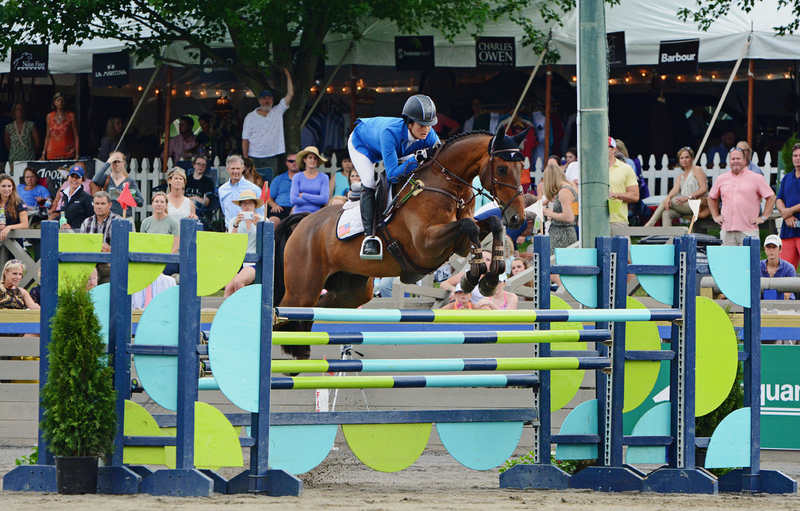 Cross country starts tomorrow at 9:30 a.m. EST, and remember that you can watch live thanks to USEF Network. Go #LandRoverGMI. Go Eventing.